Long Reach Stapler is easy to use. 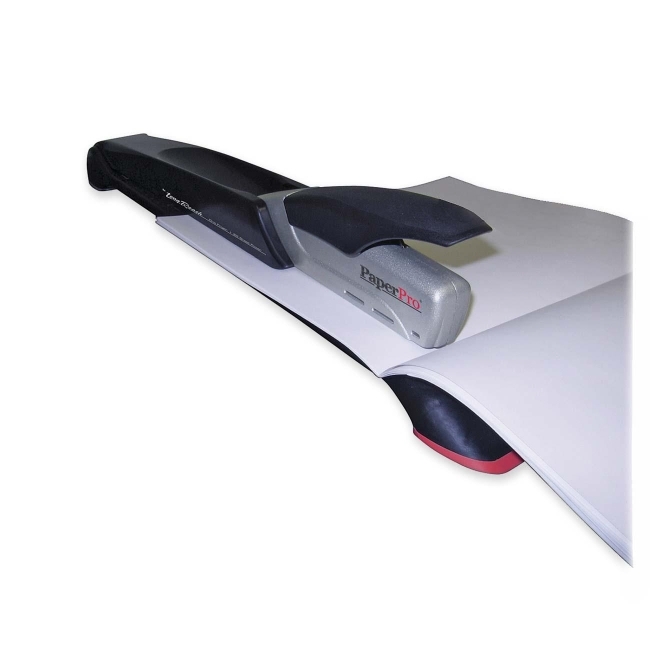 The patented PaperPro staple-driving system produces 30 lb. of force to drive staples through as many as 25 sheets of paper with the press of a single finger. Extra long reach of 12-1/2" (31cm) means you can bind presentations with page sizes up to 25" and 80 percent easier than with a standard long reach stapler. Use staplers side-mounted rulers and sliding guides for uniform, accurate staple placement every use. Stapler includes one rack of standard staplers.